The United Irishmen, the 'Men of '98', have loomed large in the Irish-Australian imagination. The 1798 Memorial in Sydney's Waverley cemetery has borne witness to their memory since April 1900 and while they no longer command the fervent adulation accorded to them in the years surrounding the centennial of the 1798 Rebellion, the rebels continue to evoke a level of interest to which few criminals and free settlers of the early colonial period can lay claim.2 This has been demonstrated by the ongoing historical and genealogical research into the United Irishmen transported to New South Wales between 1800 and 1806 arising from complicity in the Rebellions of 1798 and 1803.3 Very little attention, however, has been paid to the hundreds of Irish political prisoners known as 'Defenders' who arrived in the colony between 1793 and 1797. The implications of this alliance were considerable for New South Wales given the large numbers of men called 'Defenders' sent to the colony between 1791 and 1797. There were, however, subtle differences in the composition, command structure and political outlook of these Defender convicts. As the 233 men landed in Port Jackson from the Boddingtons and Sugar Cane had all been sentenced in or before 1793 they could have had little or no contact with the United Irishmen. The many Defenders among the 286 male convicts transported on the Marquis Cornwallis and Britannia in 1796-7, however, were a more coherent body than the earlier batch and were technically United Irishmen.33 Indeed, there is every indication that they would have been so described had not republican terminology and changing patterns of association so confused the Irish authorities. Smyth Men of no property pp114-6. Several Drogheda merchants related to Belfast Republicans were arrested in 1794 for forming 'some committee of connexion with the Defenders': Drennan to McTier 29 [January 1794] D.A. Chart ed. The Drennan Letters Belfast 1931 pl83. 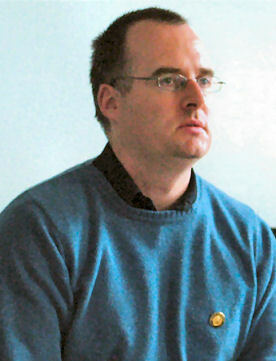 Professor Ruán O'Donnell B.A. (N.U.I. ), M.A. (N.U.I), Ph.D. (A.N.U.) is the head of the Department of History, University of Limerick, Ireland. His research interests include the United Irishmen and the organization, strategy and impact of Republican subversion during the French revolutionary and Napoleonic wars; Coercion and counterinsurgency in Britain and Ireland, 1791-1815, Modern European Military History, the history of penal transportation and Early Colonial Australia. The history of the modern Republican Movement.